Information is often an organisation’s greatest asset, but most struggle to realise its true potential. Success is hindered by the sheer number of systems, sources, files and formats from which crucial information could be sourced. Harnessing the information, internal and external to the organisation, fusing the findings and making connections to uncover insights are the challenges that must be overcome. DFI’s Infinity solution provides a unique technology platform that enables organisations to gather and analyse information obtained from a potentially infinite number of data sources. (Person, Organisation, Target, Passenger etc). 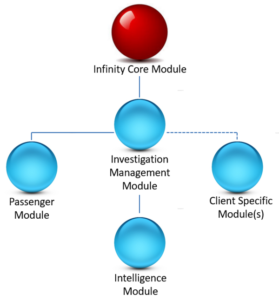 Infinity comprises state-of-the-art components allowing users to unify, search and harvest data resources. DFI’s credentials and Infinity’s revolutionary approach to data aggregation and ease of component and system integration has been recognised and endorsed by a number of law enforcement agencies across Europe. 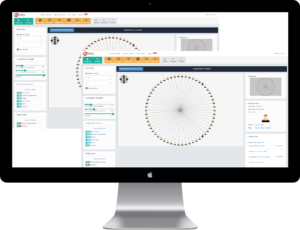 Infinity is a complete platform solution incorporating an array of features and functionality not seen before in a single, simple to use, product platform. Infinity is a modular platform designed to cater for the differing requirements and budgets of clients. Select from the modules below to explore their respective features and functionality.